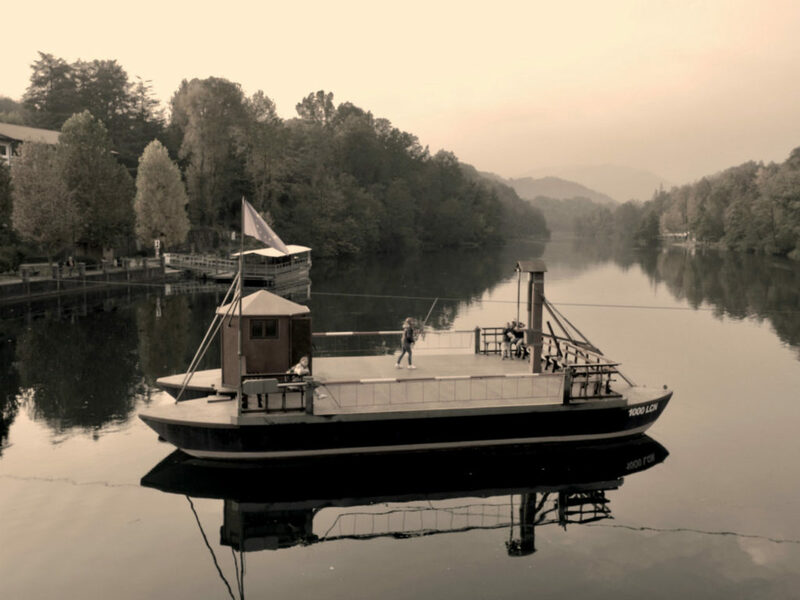 The ferry crossing the Adda and connects the Bergamo shores of Villa D'adda and that Lecco of Imbersago has a long history, which begins many centuries ago. It is not known precisely whether its inventor is the great Leonardo da Vinci. It is certain, however, that the Florentine genius studied the course of the river for several years, at the service of the Lord of Milan Ludovico Il Moro and who drew the ferry, identical to the present one, on the occasion of his stay in the city of Cassano d'adda at the Count Girolamo Mahfouz in the years 1506 – 1507. This design, dated 1513, is present in the Windsor Codex, which is kept in the royal Library of the homonymous Castle in England. 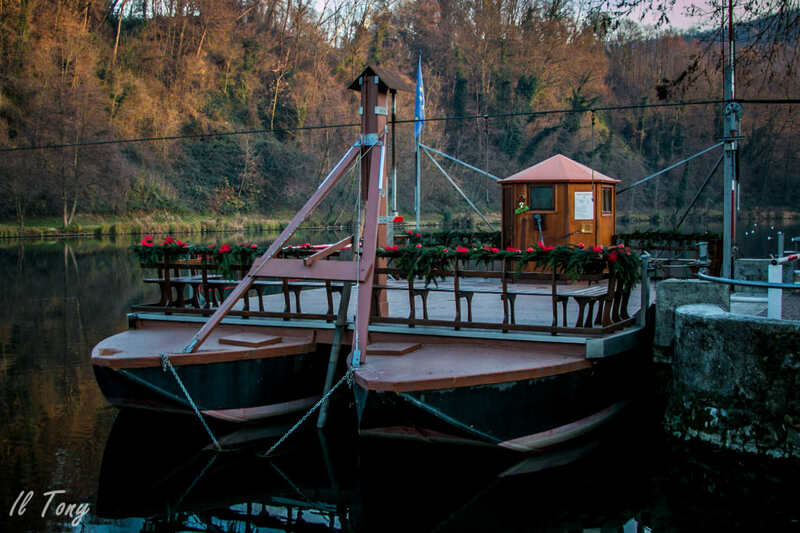 On the occasion of this task, Leonardo had the opportunity to see, study and admire the banks of our river to design, among other things, one or more navigable waterways that joined Lake Como in Milan, the famous Navigli, works that on the basis of his studies will then be realized in the following centuries. These landscapes of ripe craggy, water and vegetation have taken to identify in the background of many of his works, such as "The Virgin of the rocks" or even "La Gioconda". 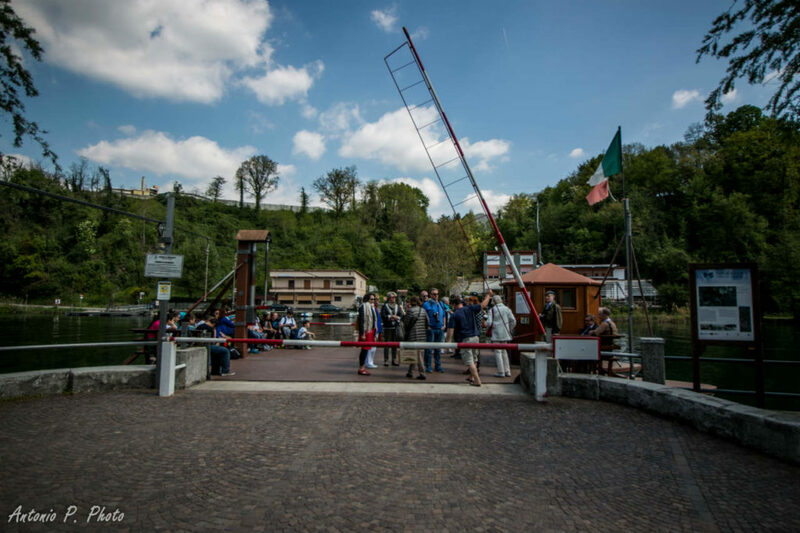 The ferry, consisting of two barges flanked and fixed together, surmounted by an iron platform equipped with a hexagonal-plan Guardiola, is able to bring two cars and numerous people; It can be used on a simple request and the toll is particularly low. The principle of operation of the ferry is very simple: the water current, guarantees the propulsion of the vessel, which acts on a large fixed rudder placed at the bow between the two hulls, while at the stern we find another and is manoeuvred by the driver. The current of the river contrasted by a taut guide rope between the two sides, is the thrust and remains only the transverse thrust that alternately moves the boat between one shore and the other. The stronger the current, the higher the speed of the ferry. Only in case of practically firm water it is necessary the intervention of the man, who through an iron stick helps the ferry to cross the river manually.